Where creativity, knowledge and the desire to do the best come together to make an event unforgettable. This page is to give a glance into the work we do to promote Swedish food abroad and the use of food as a tool to improve interactions and cooperation with other nations. 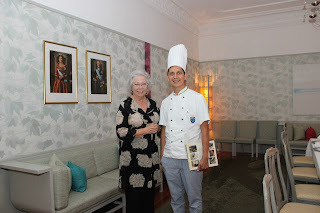 For more than 26 years,I have been working for Swedish diplomats as a Chef and prepared exquisite food to Ministers,Royalties,Presidents and a line of very important people.Our endeavors are always paid by the smile of satisfaction of our guests and by the sincere thought of serving our country. I think that simplicity is the key to good food and humbleness the key to happiness. 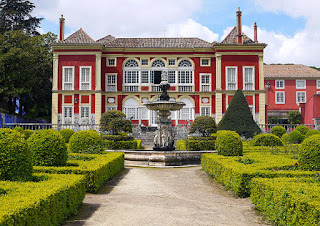 “Sweden – Portugal and the Restoration of the Portuguese Independence (1640)"
The Palace, classified as a national monument, is still inhabited by descendants of its founders and is – together with its gardens - widely acclaimed. Vanda Anastácio guided the participants through the topic of the evening and also touch on particularly noteworthy aspects of the Palace and the Marquises de Fronteira e Alorna. 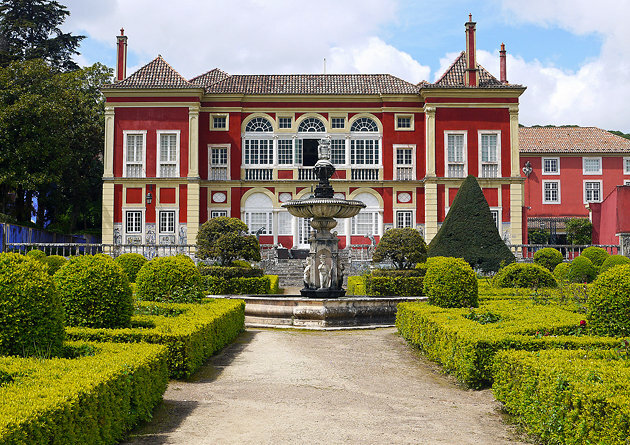 In addition to being a Professor at the University of Lisbon she is also responsible for the cultural affairs of the Fundação Fronteira e Alorna. As Dr Pessoa is being sent to Panama as honorable ambassador represented Portugal. We decided to invite him to a Panamanian dinner. Interview with Award winning and internationally experienced wine business professional of Sweden, Cruz Liljegren. The first references about wine lead us to the ancient Greece where they mixed it with water and kept in goatskins. Charles the Great was accredited with the creation of large vineyard plantations, but all of low quality. In Spain, it was the Romans who planted the first vineyards. • PIERRE PÉRIGNON introduced the first wine in a bottle with a cork. 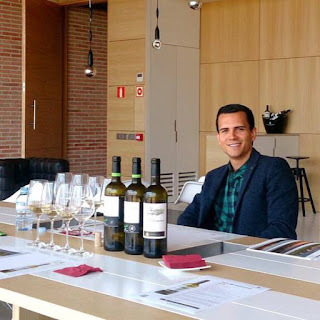 After a recent meeting with Swedish and Portuguese sommeliers here in Lisbon, today we decided to leave the past and history and come back to the present and make an interview with one of the most remunerated young sommeliers in Sweden. A sommelier is not only a connoisseur of wine, a sommelier is the manager of wine callers, is the creator of a style that project through the wine. Today we interview Award-winning and internationally experienced wine business professional of Sweden, Cruz Liljegren. Why Wine? And how did you develop this interest? 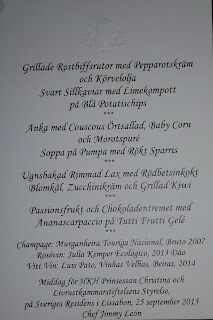 I come from a food background really, my first passion was Swedish traditional dishes so I applied for a job at the Stockholm restaurant Stallmästaregården the day after my graduation as a chef, it’s one of the most classic restaurants in Sweden, or at least it was. Then in 2007, I was appointed Head Chef for a section of the Royal Swedish Navy, this was my military service. It was really because of the officers that I had to learn about wine, as they needed recommendations for the dishes I prepared. Little by little my wine interest took over. When did you start your career in the wine world? It was in 2007 on Systembolaget in Saltsjöbaden, Stockholm (the Swedish alcohol monopoly). I was a salesperson and responsible for the store communication towards our clients. Unfortunately, I don't have any mentors and can´t remember that I've ever had, still looking. What courses have you taken? Certifications? Awards won? What is your philosophy on wine and food? I’m frankly not very interested in the art of food and wine in combination. I don't give it much thought really, just drink what I like and eat what I like. I would never order a wine I don't absolutely enjoy on its own, even if it's a great combination”. What I do find important most of the time is to think locally, again, drinking wine from the region of the dish feels great. What wine regions are you interested in at the moment? I´ve always been very interested in Moscatel de Setúbal. There is something with the brightness of aromatics together with the influence of wood and time that is completely unique. I’m also a big fan of sweet wines together with a dish that has a sweet element to it. A Moscatel d Setúbal with the Cantonese classic sweet and sour pork is amazingly delicious. What is your favorite wine? What are your ultimate career goals? My goal is really to have my own wine brand or winery, something very special, unlike anything produced today. Still looking for the perfect region. What do you think about Portuguese wines in general? Despite a very long history of wine production, Portugal is still looking for its particular style and place in the wine world. Many of the best wines today are the same as hundreds of years ago. To get a clear expression in a wine you need time, deep thinking and some hard choices as far as production methods. A trend that I like is the use of clay pots for fermentation in Alentejo, the region just need some really quality-focused producers to get more attention internationally. Also, Portuguese food and food culture need to get exported to a greater extent. How would you describe wine drinking in Sweden? Since the late 1970s wine has become an increasingly popular drink. There is a famous saying that goes ”you always want what you can´t get” — that’s very true, Swedes are generally more interested in wine than people in wine producing countries such as France, Spain or Portugal. Winemakers that visit Sweden are usually impressed by the high wine knowledge of the general public. The Portuguese wine Periquita has been selling well in Sweden since 1979. What would you recommend to the owners of restaurants about wine buying and wine serving? Well, to keep it as local as possible. If you have a restaurant in Lisbon it makes sense that at least 50 percent of your wine list is regional. Be proud of your region basically, it’s too boring as a guest when all wine lists look the same. We thank you for this interview Cruz and we wish you all the best in your future career. Swedish Royal Armoury foundation headed by HKH Prinsessan Christina. The Royal Armoury, adults as well as children can take part of the historical reconnaissance and take note of the crucial moments in Swedish history. War and peace are reflected in the elaborately decorated weapons and armor. 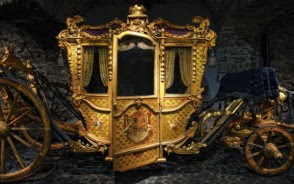 Precious costumes and sumptuous carriages tell us about coronations and weddings, baptisms and funerals of kings, queens, princes, and princesses. The Royal Armoury is located in the Royal Palace in Stockholm. have the honor of the visit of the Swedish Royal Armoury foundation headed by HKH Prinsessan Christina. It is the mission of the National Coach Museum to ensure the information, research and conservation of their collections, in the firm belief of their role as culture generator. The now opened building opens up a new path in the history of the National Coach Museum since it was endowed in your program all the necessary valences the performance of its mission. A welcome dinner to begin the start of the tour was given by the Swedish Ambassador to the members of the foundation. Portugal is today the 12th largest producer in the world but the 9th largest exporter in the world, with 2.8% market share, even when taking into consideration that they have one of the hightest consumption of wine per capital. Portuguese wines exports are been reaching maximums every year for the last 5 years. In 2014 reached 729M euros. Being one of the few wine countries in the world that keeps growing. Exports to Sweden have grown 11% in the 5 years period. The future for Portuguese wines is very promising and they are growing globally almost 5%. Portuguese wine is the result of traditions introduced to the region by ancient civilizations, such as the Phoenicians, Carthaginians, Greeks, and mostly the Romans. Portugal started to export its wines to Rome during the Roman Empire. Modern exports developed with trade to England after the Methuen Treaty in 1703. From this commerce a wide variety of wines started to be grown in Portugal. And, in 1758, one of the first wine-producing region of the world, the Região Demarcada do Douro was created under the orientation of Marquis of Pombal, in the Douro Valley. Portugal has two wine producing regions protected by UNESCO as World Heritage: the Douro Valley Wine Region (Douro Vinhateiro) and Pico Island Wine Region (Ilha do Pico Vinhateira). Portugal has a big variety of local kinds, producing a very wide variety of different wines with distinctive personality. 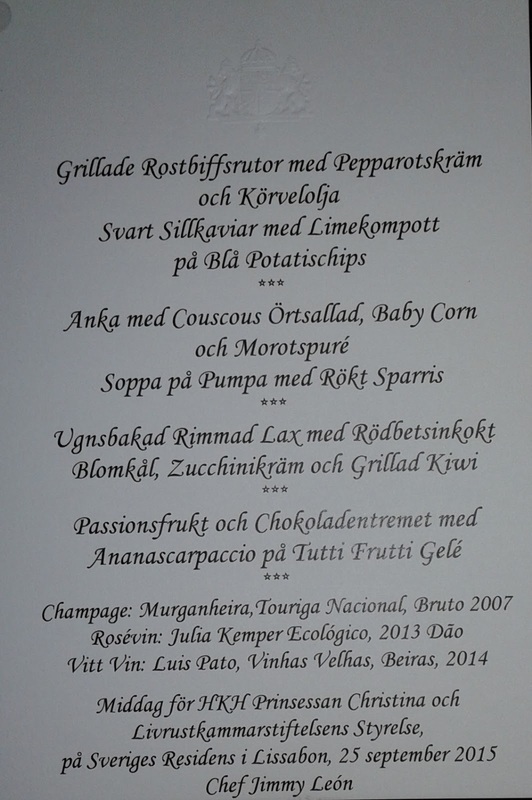 A special menu was composed to match the wonderful wines that Viniportugal offers to the professional wine tasters. ViniPortugal is the Interprofessional Association of the Portuguese Wine Industry and the entity managing the brand Wines of Portugal. Its aim is to promote the image of Portugal as a wine producing country par excellence by valuing the brand Wines of Portugal. Founded in 1997 as a private non-profit association, it groups leading associations and professional organizations representing the trade (ANCEVE and ACIBEV), production (FENAVI and FEVIPOR), cooperative wineries (FENADEGAS), distillers (AND), farmers (CAP) and demarcated regions (ANDOVI). On July 24, was the inauguration of the new Swedish Honorary Consulate in Ponta Delgada on the São Miguel island in the Azores. 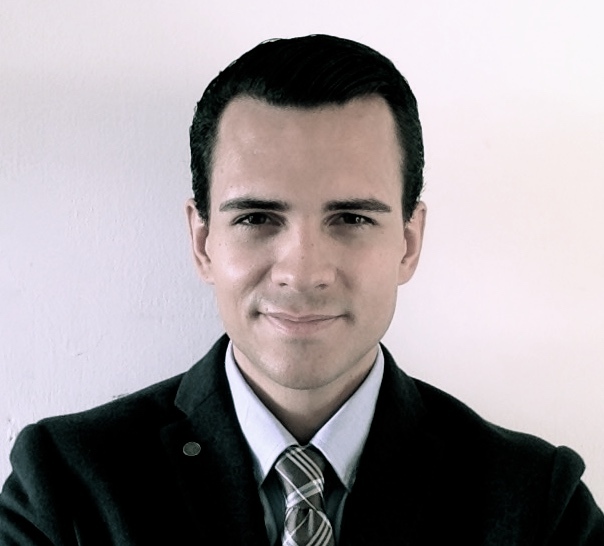 New Honorary Consul will be Nuno Bettencourt Raposo. The Azores are very beautiful islands, composed of nine volcanic islands situated in the North Atlantic Ocean about 1,360 km (850 mi) west of continental Portugal. 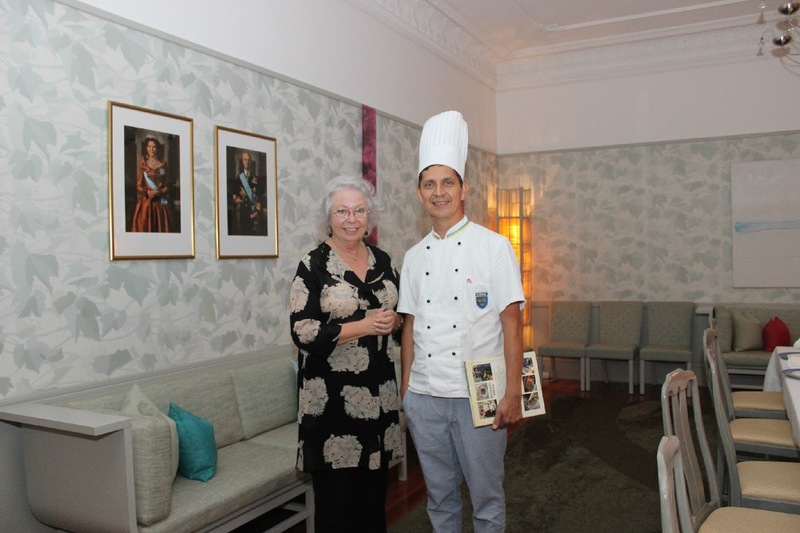 The inauguration of the new Swedish Honorary Consulate in Ponta Delgada was celebrated at the Royal Garden Hotel. Located on the larges island of the Azores, The hotel offers complete comfort and it makes the best start point to discover the magic of these blessed islands. The cooperation with the staff of the hotel went more than well and especially in the kitchen, the staff made me feel very welcome. The kitchen, runs by Head chef Michael Ross could not offer the guests but only the best.